Protective gloves and rain gear can help you make quick work of difficult, potentially messy jobs. 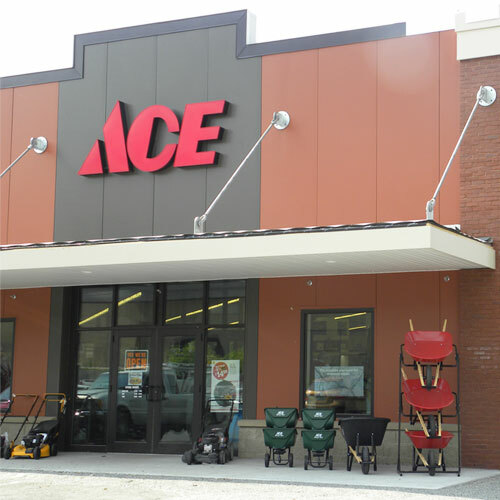 Whether you're working in the yard or buying protective rain gear for work, Ace is your place for all of the items you need. Shop Ace to find all of the safety rain gear and accessories that you'll need to get any job done. Use the search bar on the left side of the page to browse by use, price, top-rated products and clearance items. Your hands are perhaps your most valuable asset. No matter what conditions you work in, Ace Hardware offers the right gloves to keep your hands protected and help you take care of the task at hand. High performance gloves for specialty tasks like car repair and detailed home improvement projects. Leather palm gloves for gardening or light to moderate home renovation or construction work. Unlined leather gloves for indoor and outdoor work where comfort and protection are essential. Choose leather gloves with a nonslip grip for working with tools or natural options for a variety of tasks. Specialty coated gloves for extra grip or cold weather tasks like lawn maintenance in the winter months. Latex and vinyl gloves for messy tasks like washing dishes or cleaning out garbage disposals, P-traps and more. Fabric and cloth gloves with or without grips for basic household cleaning and chores. Helpful Hint: Keeping the right gloves handy is important. Stock up on a few options like unlined leather gloves, coated gloves and a basic fabric option so you've always got the right glove for the job. You can't always call it a day when it starts to rain. To keep working and stay dry, shop Ace to find rain gear that will help you finish the job. Buy a vinyl rain suit for regular work outside. These two or three-piece suits allow you to work outside in the weather without getting wet in the process. Bright yellow options keep you visible and safe when working in high-traffic areas. Shop PVC raincoats for a more economical option. Raincoats are ideal for spending short periods of time in the rain, but for a day's work, you'll want something that covers your whole body. Add a hood to your PVC raincoat for more protection. For light work, this is an ideal option.Keep a rain poncho handy in your car or truck for unexpected inclement weather. Whatever work you do, staying protected at all times is important. With the right gloves and rain gear, you should be able to weather any storm and accomplish any task, even if the worst circumstances.